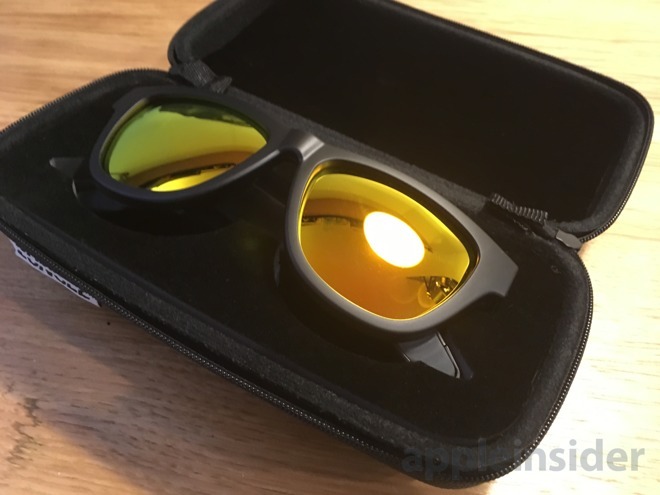 After a highly successful Kickstarter campaign that raised nearly $2 million, the Zungle Panther sunglasses with built-in bone conduction speakers are now making their way onto the faces of the wider public. 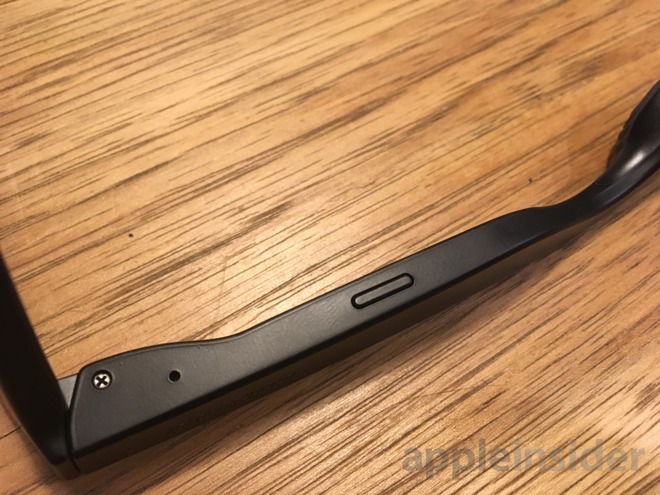 AppleInsider offers a closer look at the Bluetooth accessory. Priced at $149.99, the wireless accessory aims to be a safe headphone replacement, allowing your ears to hear the noise around you while sound is transmitted through bone conduction. 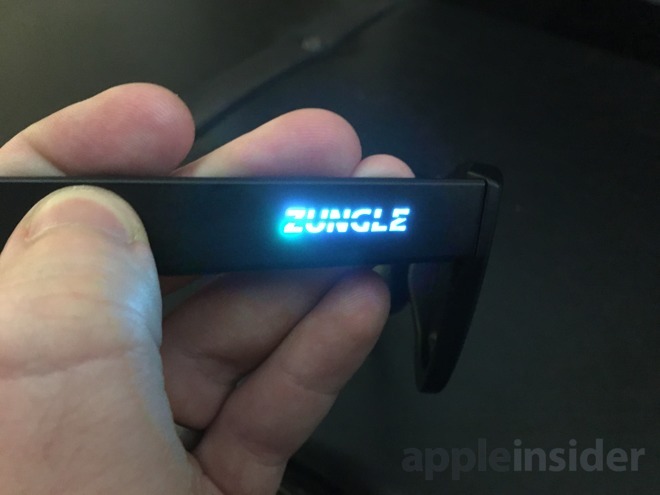 AppleInsider was provided with a pair of Zungle Panthers to test from reseller BiteMyApple. 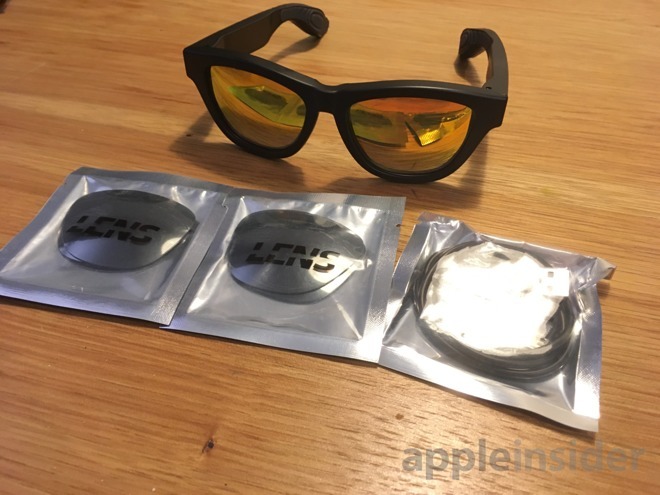 Taken out of the carrying case from which they arrive, the Zungle Panther sunglasses are obviously chunky, to fit all of the components inside. 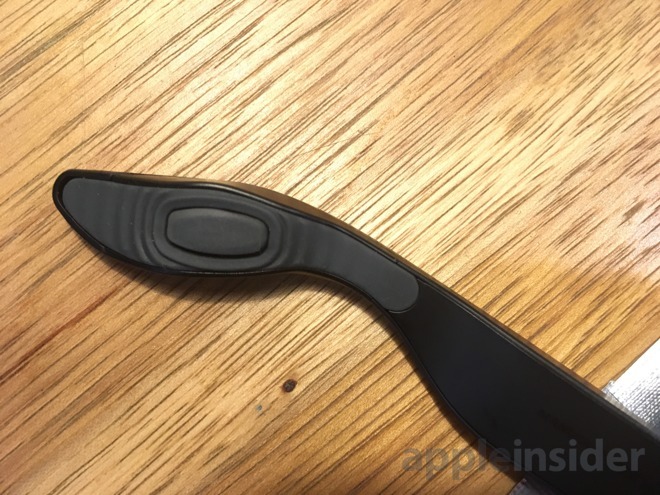 The stems on the glasses that rest behind the wearer's ear include the bone conduction components, transmitting sound in a less conventional way. Despite their size, they look like mostly normal sunglasses when worn. And they weigh in at just 45 grams, meaning it won't be a strain. By default, the Panthers include a pair of orange reflective lenses, but they also ship with an extra set in "titanium gray" that can be switched out. 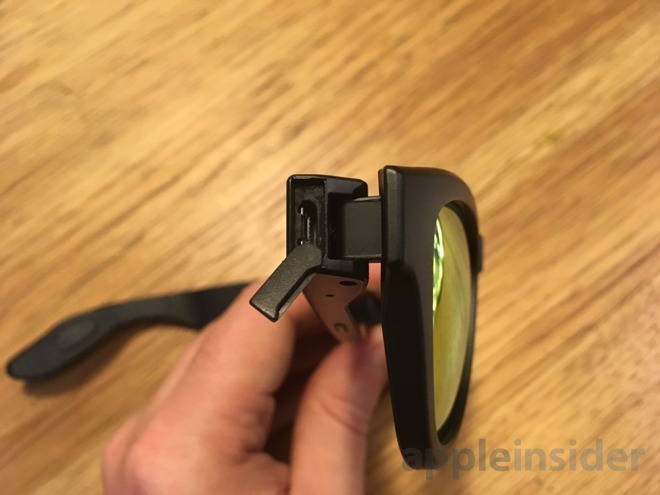 Control and charging are accomplished through the right side of the glasses. A button underneath allows for power and pairing mode, while a touch sensitive strip above the wearer's temple can be used to take calls, pause or skip tracks, and even invoke Siri with a double-tap. When folded in, the stem reveals a rubber plug over a micro USB port for charging. Zungle says that the Panther sunglasses offer 100 hours of standby time, or 4 hours of playback. 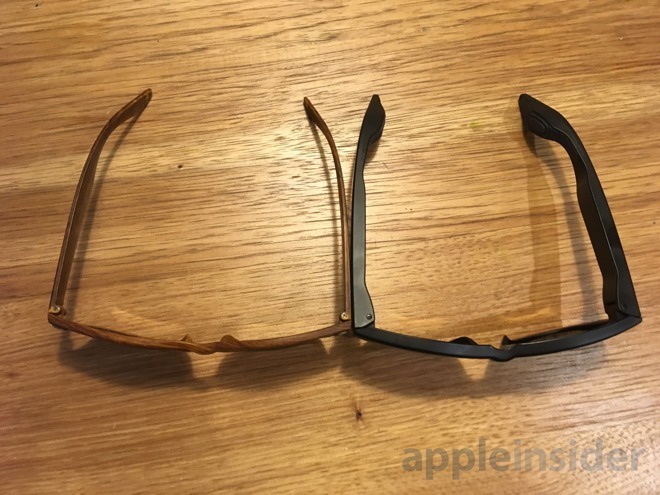 They also include a microphone on the right side, facing downward, allowing users to make calls and use Siri directly from the glasses. In our initial tests, the Zungle Panthers are quite snug on the head, likely needing a tight fit to ensure the bone conduction works. Users with larger heads should be aware, as the fit was noticeable in our initial tests. Pairing was easy and simple, and the glasses are treated by iOS or Mac just like any other Bluetooth accessory. Sound quality obviously suffers from bone conduction, though we were in fact able to hear the world around us while sampling music. Unfortunately, whatever speaker technology is being used by Zungle means the world around us could also hear our music, making them somewhat less discreet. We had hoped that the use of bone conducting technology would make the glasses largely silent to anyone but the wearer, but even when taking off the glasses, the sound emanating from them was quite noticeable. The Zungle Panther is currently available to purchase from BiteMyApple for $149.99.